Paul H. Ward, M.D. died on April 9, 2015 in Pauma Valley, located in San Diego County after a brief illness. He served as president of ALA in 1995. Dr. Ward was a leading figure in the field of Head and Neck Surgery and a member of the UCLA family for more than 40 years. A native of Lawrence, Indiana, Dr. Ward received his medical degree from Johns Hopkins University School of Medicine in 1957, was an intern at Henry Ford Hospital in Detroit, Michigan, completed residency training in otolaryngology at the University of Chicago in 1964, and subsequently was a Special Fellow and Career Research Development Awardee at the University of Chicago. Prior to attending Anderson College in Indiana, Dr. Ward served in the United States Army Medical Corps, both in the Mediterranean Theatre and in the Korean War, from 1946 to 1950. Following his training, Dr. Ward served as Chairman of the Division of Otolaryngology at Vanderbilt University School of Medicine for four years. In 1968, he was recruited to UCLA as Professor and Chief of the Division of Head and Neck Surgery, a position he held until 1991, when he became Professor Emeritus. Dr. Ward had a highly distinguished academic career. He received extensive research support from the NIH and other agencies and was the author of more than 330 scientific publications and 12 books. He served the NIH as Chair of a Communicative Science Research Study Section and as a Consultant to the NIH Director of Neurological Diseases and Stroke.  He was a consulting editor or editorial advisor for many otolaryngology journals including Laryngoscope, Head and Neck Surgery, Annals of Otology, Rhinology and Laryngology, Otolaryngology-Head and Neck Surgery, American Journal of Otolaryngology, among other publications. 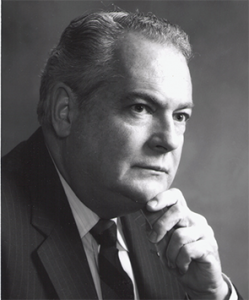 He served as President or an officer of numerous otolaryngology societies, including the Triological Society, the American Broncho-Esophagological Association, the American Laryngological Association, American Society for Head and Neck Surgery, American Academy of Otolaryngology-Head and Neck Surgery, American Board of Otolaryngology, and was also a Regent of the American College of Surgeons.